The CBn fan t-shirt ‘KEEP CALM AND CALL BOND‘ will only be available for two more days. For the price of just $ 15.00 you get a Hanes Tagless Tee in – almost – British Racing Green, with a spectacularly cool tagline, devised by CBn forum members themselves. At the time of writing this a mere 13 further orders are needed to meet the goal. Want to make a beloved one happy? Need a little gift for Easter? Do you feel calm and in a calling mood? This is the article you are looking for. 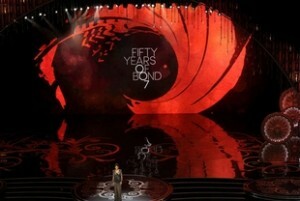 Last week at the Oscars they put together a small celebration of James Bond. Seeing as last year marked fifty years of 007, this seemed appropriate. Rumors quickly spread that every Bond actor would show up onstage together, now while this was a nice thought. I never really expected it to happen. What I didn’t expect however, is what we ended up with. …now you can get it here. 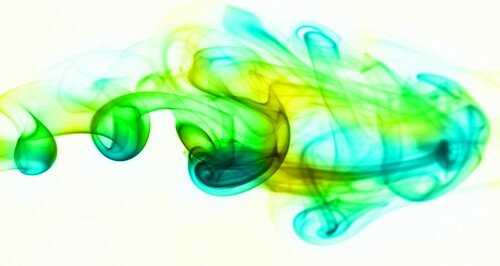 The same requirements apply, 50 orders within seven days, each for $ 20,-. Whoever finds this underneath the tree surely won’t have a blue Christmas! We have roughly two more days to reach our goal of a minimum of fifty orders to get this campaign going. Now – at the time of writing this – we only need five more orders to get there! So do your duty as a Bond fan – or make a Bond fan infinitely happy for Christmas – by ordering this classic t-shirt with M’s famous line from ‘Skyfall’ here. From personal experience I can attest to the colour’s splendid quality in covering up small-to-mid-serious misfortunes while consuming spaghetti, hot dogs or Bloody Mary [sic!]. Frankly, which other t-shirt can claim such features? Help us celebrate Pierce Brosnan this November. Ten years ago next November, marked the release of Die Another Day, and as it turns out, it was the last film of Pierce Brosnan. We here at CommanderBond.net wish to celebrate the man who gave us four James Bond films and brought many new fans into the fold. I’m putting together a retrospective of the man, and his films debuting on this page sometime next month. As a companion piece I would love to put together thoughts from you. Two paragraphs (to me, a paragraph is about four sentences long) explaining what you like about Brosnan, what you like about his films, what he means to you, and/or a fond memory of his time as Bond. You can write about all of those, or you can write about one of those. It’s up to you. Or if you’re a member of our forums you can go to this thread. Deadline for submissions will be November 9th. However if I feel I don’t have enough, I will extend it. In our constant striving to bring our readers information beyond the bare headlines and contents of Google-feed we aim – wherever possible – to go the extra mile for CommanderBond.net. In doing so we’ve already covered numerous stories going deeper into the works of Bond on page and screen. Now it is high time we talk about that nifty piece of promotional art ingeniously produced for the start of SkyMovies007 HD. Exclusively for CommanderBond.net our member Simon Firth interviewed Sky Producer David Millard, who kindly shed a light on the tricky background of this campaign. It’s far from easy to get all the Bonds in one place and translate this claim into 90 seconds of the most stunning impact. Please discuss the clip and this interview in this thread. David Millard is one of a number of Producers at Sky who create the promos for the new channels and programming – he has recently completed the advert for the upcoming 007 Channel that debuts on Sky Movies in October. Can you give us a brief potted background to your career? I initially trained at Virgin Media and have been a Producer now for the past 3 years – most recently at Sky. In fact the Head of Creative at Sky Movies (Scott Russell) originally trained me at Virgin Media and so we’ve always had a great working relationship. I’ve freelanced since 2011 until now but am hoping to go into something more permanent here at Sky. What is the decision process to get to the current advert from a management perspective? How time flies! Today is your last chance to have your say in CommanderBond.net’s big ballot to celebrate our eponymous hero’s 50th year on the silver screen. Don’t let this opportunity pass, share your five most treasured moments of Eon’s Bond films. Also – for a bit of a hoot – nominate your “worst” moment in the Eon Bond series.